Stefane Mgebrishvili was born on August 3, 1979. 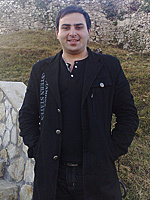 He graduated from the Tbilisi Ivane Javakhishvili State University (TSU) Faculty of History in 1999. He is the laureate of the Musical Festival “Brolis Nadzvi 1994”. He also gained the following awards: Mega, Ovatsia, Suliko and etc. In 1999 Stefane released his first musical album “Rain Caresses me” and in 2005 “Sun and Chocolate”. Stefane held the solo concert at the Tbilisi Sport Palace in 2002. He also organized the following concerts: Nino Katamadze, Art forum – Live, Leonid Agutin, Incognito, Goran Bregovic, Angelika Varum, Ricchi a Poveri, Raisin Murphy, Bryan Adams, Tbilisoba, New Year Eve, Nino Katamadze – Opera Concert and etc. He has been the founder and producer of “Art Forum” since 2004. 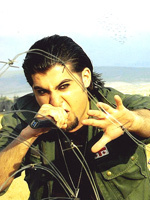 He is the author of many popular songs, lyrics and video clips. He established the project “Four Girls” in 2004. He is the author of a lot of company’s slogans and advertising Video Clips. He has a wife Maia Darsmelidze and a daughter Stefania. 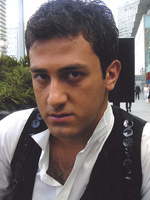 23 year-old Nini Badurashvili takes part in Eurovision 2009 together with some of her closest friends who are also Eurovision contestants: Tako Gachechiladze and Kristine Imedadze. Nini is fond of reading, traveling, skating and swimming besides many other interests. She graduated from Tbilisi S. Rustaveli State Institute of Theatre and Film, faculty of Drama and Cinema. Nini, in spite of her early age, has already proved herself as an actress, by performing in several Georgian films and soup operas. At the age of 5 she was already performing on the stage for a wider audience as a soloist of Basti Bubu Studio, (kids’ choreography and music studio). Nini was a participant in various contests during her 6 years as one of Basti Bubu’s soloist. She is always involved in all grand concerts, which commonly take place in Tbilisi nowadays. Nini has also released one solo album. The young singer has been awarded with an Order of Honor and she is the proud owner of various awards and coveted prizes. Tako Gachechiladze first ever appeared on the stage in front of the live audience at the age of 8 as a participant of a Fairies’ Contest. She then became the holder of an award as the most musical fairy contestant. Tako was a soloist of “Basti Bubu” (kids’ choreography and music studio). Already in childhood she was a busy participant of various kids’ show programs and winner of a range of international contests. 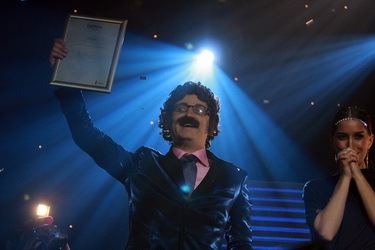 At the age of 11 Russian TV station "Ren-TV named Tako at the New Year musical program as the discovery of the year. In 2001 Tako took the first position at the Ukraine’s contest “More Drusey”. Tako Gachechiladze has taken part in a number of national and international festivals and creative evenings. Tako is a permanent participant of any grand concert that takes place in Georgia’s capital Tbilisi. Moreover she takes part in the international jazz- festival, which is traditionally annually held. In 2004 Tako released her first album. She toured Japan first in 2002 and later in 2007 along with friends and held several successful concerts. In 2005-2006 Tako was invited to Germany by a musical producer Zaza Laperashvili and Kristian Lorry, a composer, where she recorded several songs and held concerts in Berlin, Munich and Newburg. 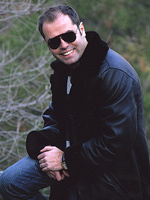 Tako Gachechiladze was awarded as one of star song’s performer at musical contest “Patrinoti”-2007. Tako has been granted the Order of Honor for her contribution to the arts and extending good will throughout the world. Although she never dreamed of becoming a singer – only ever had hopes of a career as a ballerina. Kristine started dancing at the early age of 5. Her talent was soon discovered at the Iliko Sukhishvili Choreographic Studio where she got her start. She later entered the Vakhtang Chabukiani Chorography Studio and even the tender age of 13, the young dancer continued her studies at Monaco Princess Grace Ballet Academy. Kristine has several professions at such an early age, and after returning to Tbilisi, she decided to follow the singing career. She is keen to connect her future profession with stage performances, and all the while continue her academic studies at the Tbilisi S. Rustaveli State Institute of Theatre and Film, faculty of drama and cinema. Moreover, now the 23 year-old Kristine seeks to be a future journalist and her language abilities is an added plus - she is fluent in English and French. Kristine Imedadze has been a participant of various song contests; contester of Jurmala Song Contest 2002; participant of project “Otkhi Gogo” (Four Girls). She has been awarded with an Order of Honor. Besides her busy schedule, Kristine is a beloved wife and a young mother of Taisia. Earlier, the band 3G was known as 4GoGo and had 4th member - Keta Topuria, who later left band to join Kazakh/Russian band A-Studio. You can listen to the song "We Don't Wanna Put In" here and watch video of national final performance here. In postcard aired before the performance of the trio, they have stated - yes, we know that lyrics can be misheard, but we sing "Put In" and nothing else. Natia Usnadze, GPB international projects producer has stated: "This song is not about politics, it has nothing to do with politics and politicians. If you look at the text of the song there's nothing wrong with it. It's a funny disco song. I hope we won't face any problems in Moscow since we don't want a scandal." Head of preselection jury, British Stephen Budd commented the choice to The Independent: You have to hand it to Stefane and 3G – they are committed and brave people. It takes balls to be Georgian and plan to go out on stage in Moscow with an anti-Putin song. I did say to them, "You realise this is going to cause a furore in Russia and they may not let you do it", but they said they felt strongly about performing it, in protest at last year's war. There were other songs that were better written, and better performed. I voted for one of those, but this is a fun, east European pop disco pastiche and the controversial phrase is quite innocuous. We saw more provocative artists – one dressed up as a gay Stalin with four female "Sovietskas" and did a striptease. It was clear that Stefane and his girls had the public support and they would romp home on the text voting. In the end, the jury vote went their way too. So can they win Eurovision? If the Russians actually let them perform, we'll plunge into the complexities of tactical voting. Allies of Russia will give it low votes but nations who don't like Russia and want to make a point will throw their support behind the Georgian entry". According to the contest regulations: song lyrics should not contain any political messages and/or should not bring song contest into disrepute. Decision on the legitimacy of the participating songs will be taken only during meeting of heads of delegations on 16-17th of March. Till this moment it is possible to make an amedments to the contest entry. Stephane Mgebrishvili, producer and singer of the band: "I can say for certain, that on the current moment, there has been no decision to change the lyrics of the song we will perform at Eurovision-2009. Those who can speak English language at least at the level of 5th grade of school should realize that lyrics has absolutely nothing to do with Russia". Producer of the band Kaha Tsiskaridze: "If you will read the lyrics with attention, you will notice there is nothing political in it. There is no mention of any politician there. We've followed all Eurovision regulations. There are no breaches contained in our lyrics. If someone wants to devote this song to some person - he can do it - everytime when person listens to music and lyrics, he always imagines something or someone. If he wants to devote the song to someone - he can do it. We have absolutely no intention to change lyrics. There is nothing against the law and contest regulations. Organizers have no right to exclude this entry from competition as it completely fits rules of the contest. There is nothing political. No single person is mentioned there and there is no abuse". "It is XXI century and there is freedom of speach. Currently, "Stefane & 3G" is the most discussed project and this is very important for us! We've received huge advertising through the reaction of press-center of Russian prime-minister, they called us hooligans. And we're people of art, musicians, we can not speak about politics at all - this is not our job... Our song is very beautiful and dinamic, I think it will do what it is required to. And has already done! But we do not want to abuse anyone, we have many friends in Russia, one of the producers of the band is Russian speaking, and I worked and lived in Moscow", added Tsiskaridze to Euroradio. Press-secretary of Russian prime-minister Dmitry Peskov has stated: "If this information is true, we do regret that participants from Georgia do not intend to concentrate on the music quality, and try to use the popular European competition for the broadcast of their pseudo-political ambitions, but more simply, the mere hooliganism. We still hope that guests of Moscow Eurovision from Georgia will decide to perform here a real, beautiful song, as Georgian people and Georgian culture are very rich in these"
Стефан Мгебришвили родился 3го августа 1979 года. Он закончил Тбилисский Государственный Университет им. И.Джавахишвили, исторический факультет в 1999 году. Является лауреатом музыкального фестиваля "Brolis Nadzvi 1994". Также завоевывал премии Мега, Овация, Сулико и другие. В 1999 году Стефан выпустил свой первый альбом "Rain Caresses Me", а в 2005 году - второй "Sub and Chocolate". В 2002 году Стефан провел сольный концерт в Тбилисском Дворце Спорта в 2002 году. Он также организовывал следующие концерты: Нино Катамадзе, Art Forum - Live, Леонид Агутин, Инкогнито, Горан Брегович, Анжелика Варум, Риччи и Повери, Рэйшин Мерфи, Брайан Адамс, Тбилисоба, New Year Eve, Оперный концерт Нино Катамадзе и др. Он был основателем и продюсером "Арт Форума" с 2004 года. Он - автор множества популярных песен, текстов и видеоклипов. В 2004 году он основал проект "Four Girls" в 2004. Он - автор множества рекламных слоганов и рекламных видеороликов. Жена - Майя Дарсмелидзе, дочь - Стефания. 23х летняя Нини Бадурашвили принимает участие в Евровидении 2009 со своими лучшими подругами: Тако Гачечиладзе и Кристин Имемадзе. Нини любит читать, путешествовать, кататься на коньках и плавать. Она закончила Театрально-кинематографический университет Тбилиси им. Ш.Руставели, факультет Драмы и Кино. Несмотря на свой молодой возраст, Нини уже закрепилась в роли актрисы, снимаясь в различных грузинских фильмах и мыльных операх. В возрасте 5 лет она уже выступала на сцене как солистка Basti Bubu Studio (детской хореографической и музыкальной студии). Вместе с ней она, в течении 6 лет, принимала участие в различных конкурсах. В настоящее время Нини практически всегда выступает в больших концертах, которые обычно проходят в Тбилиси. Нини выпустила один сольный альбом. Молодая певица награждена Орденом Чести, а также многими другими премиями и призами. Тако Гачечиладзе впервые выступила на сцене перед большой аудиторией в возрасте 8 лет, как участница Конкурса Сказок. Она получила приз, как самая лучшая музыкальная фея. Тако также была солисткой "Basti Bubu". Уже в детстве она выступала в различных детских программах и международных конкурсах. В возрасте 11 лет российский телеканал Рен-ТВ назвал Тако в новогодней музыкальной программе "Открытием года". В 2001 году Тако заняла первое место на украинском конкурсе "Море Друзей". Тако Гачечиладзе принимала участие во множестве национальных и международных фестивалей и творческих вечеров. Тако - постоянная участница всех крупных концертов, проходящих в Тбилиси. Также она регулярно принимает участие в международном джазовом фестивале, который регулярно проводится в городе. В 2004 году Тако выпустила свой первый сольный альбом. Она выступала с туром в Японии в 2002 и 2007 годах вместе со своими друзьями и провела ряд успешных концертов. В 2005-2006 году Тако была приглашена музыкальным продюсером Зазой Лаперашвили и композитором Кристианом Лорри в Германию, где записала несколько песен и провела концерты в Берлине, Мюнхене и Ньюбурге. Тако Гачечиладзе завоевала премию на конкурсе Patrinoti 2007. Тако награждена Орденом Чести за вклад в искусство и является послом доброй воли. Она никогда не хотела стать певицей - только балериной. Кристине начала танцевать в возрасте 5 лет. Ее талант скоро был замечен в Хореографической студии Илико Сухишвили, где она начала свою карьеру. Позднее, она поступила в Хореографическую студию Вахтанга Чабукиани и в возрасте 13 лет продолжила свое обучение в Балетной Академии Принцессы Монако Грейс. После возвращения в Тбилиси Кристине решает начать песенную карьеру. Она планирует связать свою будущую профессию со сценическими высутплениями и продолжить получение образования в Театрально-кинематографическом университете Тбилиси им. Ш.Руставели, факультете Драмы и Кино. Помимо этого, 23-х летняя Кристине также хочет стать журналистом и этому ей должно помочь совершенное знание английского и французского языков. Кристине Имедадзе была участницей различных конкурсов, фестиваля в Юрмале в 2002 году, участница проекта "Otkhi Gogo" (4 девушки). Она также награждена Орденом Чести. Помимо своей карьеры Кристина замужем и воспитывает дочь Таисию. Ранее трио 3G было квартетом 4GoGo, в него входила четвертая участница - Кети Топурия, которая позже покинула проект и стала солисткой казахстанско-российской группы А-Студио. Прослушать конкурсную песню "We Don't Wanna Put In" вы можете здесь и просмотреть выступление с национального отбора здесь. В промо-ролике, предваряющем выступление участниц, они заявили - да, мы знаем, что текст можно прочитать по другому - но мы поем "Put In" и никак иначе. Продюсер международных проектов грузинского телевидения Натия Уснадзе заявила: "Эта песня не о политике, в ней ничего не говорится ни о политике, ни политиках. Если вы прочтете текст песни - вы увидите, что в нем нет ничего предосудительного. Это просто веселая диско песня. Мы надеемся, что нам не придется столкнуться с какими либо проблемами в Москве, поскольку мы не хотим скандала". Глава отборочного жюри, британец Стивен Бадд так прокомментировал итоги отбора: "Было несомненно, что Стефане и 3G должны победить - они очень храбрые и преданные делу люди. Это очень серьезный поступок - будучи грузином, выйти на сцену в Москве и исполнить анти-путинскую песню. Я им говорил: "Вы понимаете, какую реакцию это вызовет в России и вам могут запретить петь эту песню", но они ответили мне, что они все равно будут делать все, чтобы исполнить ее в знак протеста против прошлогодней войны. Были лучшие песни, лучше написанные и лучше исполненные. Я голосовал за одну из них, но это веселая песня, европейское поп-диско, и даже спорная фраза вполне невинна. Мы видели более провокационные номера - один исполнитель был одет как гей-Сталин с четырьмя советскими стриптизершами. Было очевидно, что у Стефана и его девушек есть большая поддержка публики и они с легкостью победят в телефонном голосовании. В конце концов и жюри тоже склонилось на их сторону. Могут ли они победить на Евровидении? Если россияне допустят их - то мы увидим все последствия тактического голосования. Союзники России выставят им низкие баллы, но страны, недолюбливающие Россию и желающие это показать - поддержут грузинскую песню". Согласно правилам конкурса: текст конкурсной песни не должен нести политических воззваний и/или вводить конкурс и его организаторов в "дурную славу". Решение о допуске конкретных песен к конкурсу будет приниматься только на встрече глав делегаций 16-17 марта. До этого периода возможно внесение изменений в конкурсную песню. Стефане Мгебришвили, продюсер и солист группы: "Могу сказать с абсолютной точностью, что решения о смене текста песни, которую мы представим на Евровидении-2009, пока не принималось. Для владеющих английским языком на уровне пятого класса после прочтения текста будет понятно, что никакого отношения текст песни к России не имеет". Продюсер группы Каха Цискаридзе: "Если вы хорошо прочитаете текст, убедитесь, что там нет ничего политического. Не упомянут ни один политик. Мы учли все законы Евровидения. И в тексте нет никаких нарушений. Кто кому хочет посвятить эту песню – их дело, поскольку, когда человек слушает музыку и текст, он всегда представляет себе кого-то или что-то. Кто кому хочет посвятить, пусть тому и посвящает. Текст менять никто не собирается. В тексте нет ничего, что нарушило бы закон. Организаторы не имеют права не допускать эту песню, поскольку всё по закону. Ведь нет там ничего политического. Не упоминается ни один политик, и никого не оскорбляют". "На дворе уже ХХІ век и свобода слова. Тем более, что судя по ситуации, которая развернулась вокруг “Stefane & 3G”, мы сейчас – самый обсуждаемый проект, а это очень много значит для нас! Нам дали большую рекламу через пресс-центр премьера России, назвали нас хулиганами. Мы – люди искусства, музыканты, про политику мы вообще говорить не можем, потому что это не наше… А на самом деле эта песня очень красивая и динамичная, думаю, что она своё сделает… Уже в принципе сделала! Но мы очень не хотим никого оскорблять и не оскорбляем, у нас очень много друзей из России, один из продюсеров – русскоязычный, а я жил и работал в Москве", заявил Цискаридзе Еврорадио. Пресс-секретарь премьер-министра РФ Дмитрий Песков заявил агентству РИА "Новости": "Если это действительно так, то остается лишь сожалеть, что участники конкурса из Грузии намереваются не сконцентрироваться действительно на творчестве, а использовать такой популярный во всей Европе конкурс для трансляции своих псевдополитических амбиций, а проще говоря, простого хулиганства". Он выразил надежду на то, что "гости московского "Евровидения" из Грузии все-таки покажут здесь настоящую, красивую музыку, которой так богаты грузинский народ и грузинская культура". (It’s) Be rising, it’s rising. . .
Tbilisi Open Air / Altervision contest will be organized in Tbilisi on 15-17th of May with participation of 23 bands. You can read more about the event here. 15-17 мая в Тбилиси будет организован Tbilisi Open Air / Altervision конкурс с участием 23х групп. Подробнее об этом вы можете прочитать здесь и здесь. 20/03 Georgian band 3G, disqualified from Eurovision 2009 has taken part in the press-conference in LTV Club in Lithuania. Band was invited to visit the country by national television as a gesture of "love and support", as expressed LRT producer Audrius Girzadas. On Thursday, music video for "We Don't Wanna Put In" was premierred in LRT program "Good Morning". "Our song is already popular in Moscow night clubs"- declared Stefane, who as it appeared, has Lithuanian blood, his grandfather was born in Lithuania. Georgian band has promised not to launch any attacks of sadness and depression, as apparently there is now huge interest in the band and they have been invited to have gigs all accross Europe. "People will see themselves, that we are not young vandals, but the professional group", - said "Stefan & 3G" members. You can watch music video for the controversial song and extracts from the press-conference here. Грузинская группа 3G, дисквалифицированная с Евровидения 2009 приняла участие в пресс-конференции в клубе телеканала LTV в Литве. Группа была приглашена литовской национальной телекомпанией посетить эту страну в качестве жеста "любви и поддержки", как заявил продюсер телеканала Одриус Гиржадас. В четверг, в программе "Доброе утро" литовского телевидения прошла премьера клипа на песню "We Don't Wanna Put In". "Наша песня уже популярна в ночных клубах Москвы", заявил солист группы Стефане, дедушка которого, как оказалось, родился в Литве. Грузинская группа пообещала не поднимать скандалов из-за обиды, а сконцентрироваться на выступлениях, поскольку она была уже приглашена принять участие в ряде концертов по всей Европе. "Зрители сами увидят, что мы не молодые вандалы, а профессиональная группа", заявили участники проекта. Отрывки из пресс-конференции группы и видеоклип на песню вы можете увидеть здесь. 17/03 The Reference Group of the Eurovision Song Contest announced that 42 countries will take part in this year's competition. Georgian broadcaster GPB decided not to take part in the competition. Eurovision 2009 executive producer Yuriy Aksyuta has explained that they have never received any official statement from Georgia, but as organizers have not heard back on the request to change the lyrics and representative of Georgian delegation was not attending the meeting of HoDs they consider this as a withdrawal. Оргкомитет конкурса огласил, что в фестивале этого года примут участие 42 страны. Грузинская телекомпания GPB решила не принимать участие в конкурсе. Директор музыкального вещания Первого канала Юрий Аксюта пояснил "Новым Известиям", что, хотя официального отказа действительно никто не видел, грузинская делегация не выполнила в установленный срок требования изменить текст песни и не прибыла на рабочее совещание в Москву. - Unfortunately, the European Broadcasting Union did not tell us specifically what the word or phrase we have to change. It happened so that they simply asked to changed absolutely whole lyrics. And we decided that there is nothing to change, so that, in principle, we decided that we will not do any changes. Now, they probably will decide on the disqualification of the band, of our project. We first asked, please, specifically, tell us, what's wrong, what exactly word or a phrase is wrong for which lyrics have to be changed? At the present moment, no one answered. So we will wait for what a response will be. Without any answers we've received a letter that if there is no change made, then we will be discussing this issue about the disqualification, that they won't let us perform at the contest. - К сожалению, Европейский Вещательный Союз не сообщил нам конкретно, какое слово или какую фразу мы должны поменять. Произошло так, что просто попросили поменять абсолютно весь текст. А мы решили, что там нечего менять, так что, в принципе, мы решили, что мы не будем менять. Исходя из этого, они, наверное, будут решать вопрос о дисквалификации этой группы, этого проекта. Мы сперва попросили конкретно сказать нам, в чем дело, из-за какого слова или из-за какой фразы требуют менять текст? Пока на это нам никто не отвечал. Так что, мы будем ждать, какой ответ будет. Без всяких ответов пришло письмо, что если не поменяете, тогда мы будем обсуждать этот вопрос насчет дисквалификации уже, что нам не дадут выступить на конкурсе. Мы считаем, что в этом тексте ничего нет оскорбительного, ничего конкретно там не говорится о политике и так далее. Мы создали песню и форму выступления нашей группы на "Евровидении". Мы не обсуждали там тему, что будем кого-то ругать или оскорблять, а тем более народ. Потому что у нас очень много друзей в Москве, очень много знакомых, хороших профессионалов, общаемся. На самом деле, российские политики начали эту тему раскручивать как против народа, против русского народа и все такое. Абсолютно ничего такого нет в этом и не было. Мы не вкладывали в это никакого негативного движения для того, чтобы раздражать людей или кого-либо. Если бы был Путин, тогда бы и было написано "Путин", а там написано "вложить, вкладывать негативные движения". А это и есть творчество, в принципе. Творчество – вещь свободная, как и журналистика. Читатели и слушатели решают сами, как это все воспринимать. С нашей стороны мы специально еще раз провели опрос. И где-то около 80 процентов дали добро, всем понравилось это, потому что это была форма выступления грузинской группы на "Евровидении". 11/03 Georgia has announced withdrawal from Eurovision Song Contest in Moscow, told Russian state agency RIA Novosti producer of the Georgian Eurovision project Natia Usnadze from Georgian public broadcaster. "We have decided not to change the lyrics or choose a different song. We will not go to Moscow and will not take part in Eurovision 2009," said Uznadze. "It's still not clear to us why Eurovision took this decision. We have not received a concrete explanation," she told. Official denial of Georgia to participate in the competition is confirmed in the letter of Director General of Georgian broadcaster Levan Kubaneishvili to the executive superviser of the contest Svante Stockselius. "Georgia's public broadcaster does not intend to rewrite the lyrics and refuses to take part in the Eurovision song contest. The broadcaster does not agree with your decision and believes it to be ungrounded. "- the letter reads. The Georgian group's producer, Kakhaber Tsiskaridze, said he suspected the song was rejected under political pressure from Moscow. "We suspect that this decision is a result of political pressure from Russia. If that is the case, it's unacceptable," he said. He said he disagreed that the song was overtly political. "Where in the lyrics are there any political statements or insults to someone?" he said. Currently, it is unclear what consequences such a withdrawal will have. Will Georgian broadcaster be liable to pay a fine, or will be punished otherwise? Will Georgia be allowed to vote in the contest and whether the broadcaster will use this opportunity? Грузия отказалась от участия в песенном конкурсе "Евровидение-2009", который пройдет в мае в Москве, сообщила РИА Новости руководитель грузинского проекта конкурса Натиа Узнадзе. "Мы решили не менять текста песни или назначать другого исполнителя. Мы не поедем в Москву для участия в Евровидении 2009", сказала Узнадзе. "Нам не ясно, почему организаторы конкурса приняли такое решение. Нам не было предоставлено кокретного объяснения этого", добавила она. Официальный отказ Грузии от участия в конкурсе содержится в письме генерального директора "Общественного вещателя" Грузии Левана Кубанеишвили в адрес исполнительного супервайзера песенного конкурса Сванте Стокселиусу. "Общественный вещатель Грузии не намерен менять текст песни, и отказывается от участия в песенном конкурсе "Евровидения". Общественный вещатель Грузии не согласен с Вашим решением, так как считает его безосновательным", - говорится в письме. Продюсер грузинской группы Кахабер Цискаридзе заявил, что по его мнению, организаторы конкурса отказали грузинской песне в праве участия в нем, под давлением со стороны Москвы. "Мы подозреваем, что это решение является результатом политического давления со стороны России. Если это так - то это полностью неприемлимо", заявил он. Он также не согласился с тем, что песня носила какой-либо политический подтекст. "Где в тексте песни есть хоть какие-то политические заявления или оскорбления кого либо? ", спросил он. На данный момент не ясно, к каким последствиям приведет подобное снятие с конкурса. Будет ли телеканал Грузии обязан выплатить штраф, или будет наказан еще каким либо образом? Будет ли разрешено Грузии голосовать в конкурсе и примет ли грузинское телевидение это право? 18/02 Will satirical-political song win on today's Georgian national preselection? - is a popular question among Eurovision fans. One of the songs in the national final is titled "We Don't Wanna Put In" (or Put In Disco) and, seemingly, it can easily overcome popularity of Verka Serduchka's entry Lasha Tumbai on misheard lyrics symbolizm. The task of the lyricists of this song are not very clear, as in case of it's victory at the national selection it may rise new wave of anti-Georgian mood in Russia. Two more songs - Peace In The World and Hear My Plea are also having social-political character being sort of "Peace Anthems". The latter one, having rather good music potential, reminds lyrically last year Georgian entry of Diana Gurtskaya. Diana herself, speaking today on the morning show of Georgian television, has expressed her categorical disagreament with turning huge European manifestation of music into political arena. According to Diana, this should be done only in peaceful purposes, like the ones shown by Israeli performers - for the first time their song will be performed in mix of Hebrew and Arabic languages. On our opinion, the right choice could have been to enter to the competition a song in Georgian language, which, sounding for the whole Russia and Europe, could become symbol of Georgian independence. Other variant, and very successful, as Junior Eurovision has shown - could have been entrance of joyful entry with excellent stage presentation, which could have fighted for the top places at the contest. Still, there are some voices against Georgian participation in Eurovision in Moscow in general - against it have now spoked member of parliament of Abkhasia and members of so-called Georgian club. Победит ли сегодня в Грузии песня с сатирически-политическим подтекстом? - задают вопрос многие поклонники конкурса Евровидение. Одна из песен национального отбора носит название "We Don't Wanna Put In" (или Put In Disco) и, очевидно, что она имеет все шансы побить популярность композиции Верки Сердючки Lasha Tumbai по символичности и спорности слышимого текста. Не совсем понятна цель авторов текста данной композиции, и в случае ее победы на национальном отборе она может поднять новую волну анти-грузинских настроений в России. Еще две песни национального отбора - Peace In The World и Hear My Plea также носят выраженный социально-политический характер, являясь "Гимнами за мир". Последняя, обладая достаточно большим музыкальным потенциалом, со стороны лирики практически повторяет прошлогоднюю композицию Дианы Гурцкая. Сама же Диана, выступая сегодня в утреннем шоу грузинского телевидения категорически высказалась против превращения большого музыкального праздника, которым является конкурс Евровидение в плацдарм для политических дискуссий. По словам Дианы, возможно лишь его использование в мирных целях, демонтрируемых в этом году исполнителями Израиля - песня этой страны впервые за всю историю будет исполняться на смеси иврита и арабского языка. На наш взгляд, было бы более правильным, выставить на конкурс композицию на грузинском языке, которая бы прозвучала на конкурсе на всю Россию и Европу и могла бы стать символом грузинской независимости. Другим же вариантом, и весьма выигрышным, как показал Детский конкурс - было бы выставление отрешенно-игровой композиции с достойным внимания сценическим номером, который бы позволил бороться на конкурсе за самые высокие места. Тем временем, продолжают звучать и мнения тех, кто вообще против участия Грузии в московком конкурсе - против этого высказался депутат верховного совета Абхазии и члены т.н. Грузинского клуба. The press conference and the draw for the running order of Georgian National Final took place in Courtyard Marriott Hotel under supervision of GPB international projects producer Natia Uznadze and British producer Steven Budd. On February 18th a national final will take place, This event will be broadcast live on February 18th from GPB's own TV studios, with the winner being decided by a combination of SMS voting and the verdict of an expert jury. Steven Budd will be the head of expert jury in Georgia, professional jury will have 70% influence on the result. Televoters will deliver the other 30% of the outcome. Пресс-конференция и жеребьевка порядка выступлений участников грузинского национального отбора прошла в отеле Мариотт под наблюдением супервайзера международных проектов GPB Нати Уснадзе и британского продюсера Стивена Бадда. Финал национального отбора состоится 18го февраля, он будет транслироваться в прямом эфире 1го канала Грузии из студии GPB. Победитель будет определен совместным решением жюри и телезрителей. Главой жюри будет Стивен Бадд, жюри будет принадлежать 70% вердикта, а зрителям - 30%. 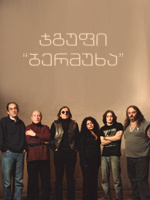 ESCKaz can name 10 artists whose entries have qualified to the final of the national Georgian preselection. You can listen to the songs here. 25 entries have been submitted. Draw of the running order will take place on 16th of February. The National selection concert will be held on February 18. Competent Jury on the bases of a public opinion survey will select and present the winner singer. 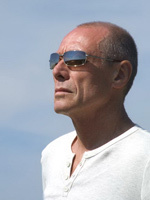 The head of the jury is well-known producer Stephen Budd from UK. ESCKaz может назвать имена 10 артистов, чьи песни примут участие в национальном финале грузинского отбора. Участвующие песни прослушать можно здесь. Всего были получены 25 заявок. Жеребьевка порядка выступлений пройдет 16го февраля. Финал национального отбора пройдет 18го февраля. Компетентное жюри, на основе опроса общественного мнения выберет победителя. Глава жюри - известный продюсер Стивен Бадд из Великобритании. 22/01 Georgian 1TV has announced launch of submission period to take part in the national preselection for Eurovision Song Contest. Deadline to enter is February 5th, and national final is planned to take place on February 18th. In general, system stays similar to last year, but the venue will be smaller - 1TV studios. Winner will be decided by combination of tele and jury voting. Among artists confirmed their interest to enter are Anri Johadze, Keti Ordjonikidze, duet Georgia, Nino Chheidze, Nini Shermadini and others. Телекомпания Грузии объявила о начале приема заявок на участие в национальном отборе на Евровидение 2009. Песни принимаются до 5го февраля. Финал отбора назначен на 18 февраля. Общие правила остаются такими же, что и в прошлом году, но отбор состоится не в концертном зале, а в студии телеканала. Победитель будет определен смесью голосования жюри и зрителей. Среди артистов, заявивших о своем интересе: Анри Джохадзе, Кети Орджоникидзе, дуэт Джорджия, Нино Чхеидзе, Нини Шермадини и другие. 03/01 ESCKaz can confirm that Georgia has reconsidered it's withdrawal and will be included in the list of participants of Eurovision 2009. "Organizers of the international contest have been asking us not to withdraw from it due to political reasons and we've taken this request into account", informed producer of the national project Natia Usnadze. "We can not yet confirm the way our representative will be selected", told ESCKaz head of Georgian delegation at the contest Ninuna Sanadiradze on Saturday. In previous years Georgia has been using telephone poll and open national final as their selection methods. Update, on 5th of January a public announcement has been made. ESCKaz может подтвердить, что Грузия пересмотрела свое решение о снятии с конкурса и будет включена в список участников Евровидения 2009. "Организаторы международного конкурса просили не отказываться от участия в конкурсе и их желание было учтено", заявила продюсер национального проекта Натия Уснадзе. "Мы пока не утвердили способ отбора участника на конкурс", сообщила ESCKaz глава делегации Грузии Нина Санадирадзе в субботу. В прошлые годы Грузия использовала телефонный опрос и открытый национальный финал, как методы отбора представителя на конкурсе. Обновление: 5го января было сделано официальное сообщение об участии Грузии. 18/12 Delivering News First! Georgia to take part in Eurovision Song Contest 2009 after all? Website of Finnish broadcaster YLE has reported today that Georgia has cancelled it's decision to boycott the Moscow Eurovision, quoting member of Finnish Eurovision delegation Mr. Kjell Ekholm. It was known that despite GPB has not submitted their application originally, after their victory at Junior Eurovision Song Contest EBU has started new series of negotiations with the country in order to be able to reach new record number of participating countries in the contest. At the recent press-conference of EBU and host broadcaster it was announced that "organizers are still hoping to see Georgia in the list of participants of the contest". Neither EBU, nor representatives of GPB, however, didn't confirm their participation in the contest yet. Грузия все-таки примет участие в Евровидении 2009? Вебсайт финской национальной телекомпании YLE сообщает со ссылкой на члена национальной делегации Кьелля Экхольма, что телекомпания Грузии отменила свое решение о бойкоте Московского Евровидения. Было известно, что несмотря на то, что GPB не подала заявку на участие в конкурсе, после ее победы на Детском Евровидении ЕВС начало новый раунд переговоров с грузинской телекомпанией о ее возвращении на конкурс, что также могло бы позволить достичь рекордного числа его участников. На пресс-конференции ЕВС и Первого Канала на прошлой неделе было объявлено, что организаторы конкурса "все еще надеются увидеть Грузию в числе участников". Ни ЕВС, ни GPB пока не подтвердили своего участия в конкурсе официально. 28/08 The Georgian public broadcaster has announced that it will not be participating in next year's Eurovision Song Contest, due to be held in Moscow, in protest at Russia's policies. Levan Kubaneishvili, the director of the Georgian public broadcaster, justified the decision by saying that Eurovision could not be held in a country which violates human rights and international law and which does not respect democratic values. Georgia also doubts whether Russia will be able to guarantee the safety of participants. The broadcaster's director nevertheless added in his letter to his international colleagues that Georgia retains the utmost respect for the contest as a non-political event which brings Europe and the world together in music and which forms a cultural bridge between countries. Грузинская телекомпания официально объявила о том, что не примет участия в Евровидении в Москве в знак протеста против политики России. Леван Кубанейшвили, директор Общественного Телевидения Грузии, объяснил решение тем, что Евровидение не должно проходить в стране, которая нарушает права человека, международное право и не уважает демократические ценности. Грузия также заявила о сомнениях в способности России гарантировать безопасность участников конкурса. Директор национальной телекомпании добавил в своем обращении к зарубежным коллегам, что Грузия продолжает уважать конкурс Евровидение как неполитическое мероприятие, которое объединяет вместе всю Европу посредством музыки и формирует культурные связи между странами. 21/08 Estonian national broadcaster has launched public debate on whether country should boycott EDC 2009 if it still takes place in Russia, because of Russian actions in Georgia and probability of Russians using Eurovision as a vehicle for political propaganda. Recently several Estonian singers and local press have suggested to boycott the contest or appeal to EBU to change the host country. Margus Allikmaa, the Chairman of the Board of the Estonian national broadcaster, said that while it is his personal belief that Estonian should boycott the event, the corporation will be taking the opinions of all interested sides in consideration. Estonian Minister of Culture Laine Janes has also stated that all opinions, including opinion of the singers and national broadcaster, should be considered. She also suggested that the matter needs to be discussed with Latvia and Lithuania who may join in boycott, however she personally believes that culture should unite people not separate them. Minister also noted that it will be similar to the decision whether to boycott Olympics or not, however admitted that changing the host country of Eurovision will be very difficult to achieve. ETV expects to make definite decision in short time, before starting preparations for Eurolaul 2009. Update: The public poll organized by broadcaster has brought following results: For participation in ESC in Moscow - 66% of population, Agaist - 22%, Undecided - 12%. Among Estonian nationals For 53%, Against 32%, among other nationals living in Estonia For 91%, Against 1%. Update: Based on results of the poll, Estonian broadcaster has taken decision on 17th of September, that it will take part in Eurovision 2009. Estonian colleague was supported by head of Lithuanian television: "I think that it is yet to early to discuss it, but knowing how Russia behaves, it is, of course, obvious that such thoughts can appear", - the said Rimvydas Paleckis. "At the moment the tension is still high, but we want to believe in logical mind that Russia will eventually stops using power and starts to solve problems in the more civilized manner", - R. Paleckis is sure. Preparations for Lithuanian selection will still go on. "If the polital situation would calm down, the winning song will be sent to the contest, but if Russia continues to showase power and ignores international law, I do not deny the possibility that other countries might think about boycott as well. Then we shall discuss the situation. Russia will surely use the contest for propaganda and showcase some particular Russia values (which are not always compatible with Western ones), and we need to consider, if it is worth participating at all, Mr. Paleckis stated. "Latvian broadcaster categorically denies rumours that LTV can boycott Eurovision 2009", stated vice director general of LTV Arnis Kuprishs, mentioning that preparations for the national selection will go as scheduled. LTV is confident that politics should be separated from culture. On this reason channel will also take part in reborn Intervision song contest to be held in Russia this week. 12 countries of former Soviet Union will participate, excluding Georgia (which has withdrawn already selected participant), Lithuania, Estonia and Uzbekistan, which according to organizers were not able to run preselections in time. Polish broadcaster confirmed also to be considering Eurovision boycott in Moscow, said director of TVP Dorota Macieja. Svante Stockselius, ESC executive producer, has reacted saying that he could not understand the proposal to boycott next year’s Eurovision finals in Moscow over the conflict in Georgia or demands to transfer it to other country. "These issues should not be linked. We are organizing a non-political event and if the hosting country is able to ensure the safety of participants, there is no reason why it should not be allowed to host the finals," said Stockselius. The EBU official added that if Estonia wishes to stay away from the Eurovision song festival in 2009, it is up to the country. "We have many members who don’t participate every year and who return later,” added Stockselius. Национальная телекомпания Эстонии объявила о начале публичного обсуждения возможности бойкота страной Евровидения 2009, если оно пройдет в России, из-за акций России против Грузии и вероятного использования Россией конкурса как средства для политической пропаганды. Недавно, ряд эстонских исполнителей и представителей прессы призвали к бойкоту конкурса либо к аппеляции к ЕВС с просьбой изменить страну его проведения. Маргус Алликмаа, председатель совета Эстонской национальной телекомпании, заявил, что хотя его личное мнение заключается в том, что Эстония должна бойкотировать конкурс, телекомпания готова принять во внимание мнение всех заинтересованных сторон. Министр культуры Эстонии Лайне Янес также заявила, что должны быть учтены все мнения, включая мнение исполнителей и мнение национального телевидения. Она также предложила обсудить возможность совместного бойкота конкурса с соседними странами Латвией и Литвой, несмотря на то, что ее личное мнение заключается в том, что культура должна объединять, а не разделять людей. Министр также отметила, что эта проблема очень похожа на предложение бойкота Олимпиады, но признала, что вероятность смены страны проведения конкурса в настоящее время весьма мала. Ожидается, что окончательное решение по этому вопросу будет принято в ближайшее время, до начала национального отбора Eurolaul 2009. Обновление: Опрос, заказанный ERR и проведенный фирмой Emor показал, что участие Эстонии в Евровидении в Москве поддерживают 66% населения и 22% против участия в конкурсе. 12% не смогли сформулировать свое мнение по этому вопросу. Участие в московском Евровидении поддержали 53% эстонцев и 91% неэстонцев. Отказ от участия в конкурсе поддерживают 32% эстонцев и 1% неэстонцев. Обновление: 17 сентября правление Национальной телерадиовещательной корпорации приняло решение, что Эстония примет участие в конкурсе "Евровидение", который пройдет в следующем году в Москве, основываясь на результатах опроса. Эстонского коллегу поддержал и глава Литовского телевидения Римвидас Палецкис: "Думаю, что сейчас говорить еще рано, но, судя по тому, как ведет себя Россия, ясно, могут появляться разные мысли". "Пока напряжение высоко, всегда хочется верить в здравомыслие и то, что Россия все-таки откажется от силовой позиции и будет решать вопросы чуть цивилизованнее", - уверен Р.Палецкис. Подготовка к Литовскому отбору будет продолжена. "Если политическая ситуация успокоится, мы пошлем песню-победителя на конкурс, но если Россия продолжит демонстрировать силу и игнорировать международное право, я не исключая возможности того, что и другие страны задумаются о бойкоте. Тогда мы обсудим ситуацию. Россия, несомненно, постарается использовать конкурс для пропаганды и демонстрации некоторых российских ценностей (отличных от ценностей западного мира) и надо задуматься, надо ли нам это участие вообще", заявил Р.Палецкис. Польское телевидение также подтвердило, что рассматривает бойкот Евровидения в Москве, сообщила директор TVP Дорота Мацея. "Латвийское телевидение категорически отрицает слухи о том, что LTV может бойкотировать конкурс "Евровидение" в будущем году, - заявил заместителя гендиректора LTV Арниса Купришса, отметив что подготовка к национальному отбору проходит по расписанию. LTV настаивает на том, что политика должна быть отделена от культуры. По этой причине канал уже на этой неделе примет участие в конкурсе "Интервидение", который пройдет в Сочи. В "Интервидении" примут участие 12 стран бывшего СССР за исключением Грузии (отозвавшей уже выбранного исполнителя), Литвы, Эстонии и Узбекистана, не завершивших своевременно отборы. Сванте Стокселиус, исполнительный продюсер конкурса, сообщил, что он не понимает подобных предложений бойкота из-за конфликта в Грузии или требований переноса конкурса. "Эти события никак не связаны между собой. Евровидение - это не политическое мероприятие. Если страна-организатор способна гарантировать безопасность участников, нет никаких причин чтобы не дозволять этой стране проведения конкурса", заявил Стокселиус. Он однако отметил, что если Эстония хочет сняться с конкурса 2009 - это в их праве. "Каждый год какие-то страны отказываются, а какие-то возвращаются", добавил Сванте.